Turn your puppy or pooch into a Potty Master! It is normal for puppies under the age of six months to have Potty Mistakes. Ideally, toilet training of puppies should commence as early as seven weeks of age. If their birthing mother doesn’t teach them, then it is up to the breeders, store staff and owners to train puppies in a nurturing and understanding manner. Your puppy may have a medical condition. Your puppy was purchased from a pet store, or similar, where they could only relieve themselves in their holding pens. Your puppy learnt inappropriate toileting behaviours from older dogs. Your puppy was caught in the act and was ‘shamed’, leading them to hide in inappropriate areas. Your puppy may stress or ‘freak out’ when they need to eliminate/relieve themself, but doesn’t know what to do. Your puppy is confined to an area for a lengthy period of time without the appropriate toileting area. 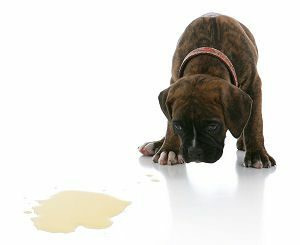 Your puppy didn’t receive adequate Potty Training. So what can puppy owners do to fast track Toilet Training? Understand that your puppy is not a machine and mistakes WILL happen. Yup, I said it … mistakes WILL happen. It takes on average 18 months to 4 years for a human child to be fully toilet trained, whereas a puppy can be toilet trained by 16 weeks of age. Your puppy may feel scared, intimidated and/or depressed if their idol (you) over react and show that you are frustrated, annoyed, angry or hysterical for a little spill. A very important note to remember (and feel free to pass this onto your friends and family) is to NEVER rub your puppy’s nose in their toileting mistakes. This could be considered bullying and it won’t teach your puppy what they should do. This method is not practiced on human children (and if it is, Child Protection Services are likely to get involved) so don’t do it to your puppy. In fact, this is likely to damage the bonding relationship with your potential best friend. Not a lot of effort is required to clean up those uh-oh mistakes. Soak up urine and pick up any faeces with paper towel. Take this to the approved area you want your puppy to go to potty and leave it over night to create a familiar ‘toileting’ smell. Next day, pick up the paper towel and dispose of it thoughtfully. Clean soiled areas with BioZet, which can be found in most major supermarkets as a laundry powder. This will destroy any toilet smelling micro particles that regular disinfecting products will not. These micro particles can’t be detected by humans, but your puppy is more than capable of tracking them down. For carpet: use a towel over the soiled area and stamp the urine out by stepping on the towel. Once done, mix BioZet with water and spray onto the soiled area. Let it air dry or let it soak and stamp it out with a clean dry towel. For hard surfaces: mix BioZet with water and mop or wipe the area clean. Let it air dry. It doesn’t take much effort to toilet train your puppy. Consistency, timing and patience is all you need. Take your puppy outside frequently (every 1 to 2 hours or a minimum of 6 to 8 times per day) including directly after waking, playing and within 15 to 30 minutes of eating. Watch for signs that the puppy may want to eliminate/relieve itself such as whining, circling, pacing or a sudden cessation of behaviour and quickly, but calmly, take your puppy outside. Stand still, allow the puppy to sniff around, on or off the lead. Always supervise the puppy. Put a bell on your puppy’s collar so you can keep track of him/her. Reward the appropriate toileting behaviour with a treat. Praise your puppy after toileting. If you distract your puppy while toileting, it will stop and ‘forget’ to go again. Play with you puppy AFTER it has toileted appropriately. A great positive reward! Confinement and crate training with adequate spacing and plenty of water, food, shelter and enrichment can teach your puppy to hold for a certain period of time. Not all puppies will learn or achieve life lessons at the same rate (just like people). Punishing your puppy for toileting mistakes will only prolong inappropriate toileting behaviour. If you are not sure, ask for help! 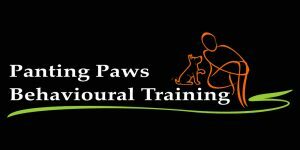 For first time puppy owners, why not join our Social Puppy Skills for socialisation and puppy education? How much biozet do you use? Do you use it straight or mixed with water? Better results in diluting; 1 x cap to 2L luke warm water. ~ Christine.